At Rick’s Heating & Cooling, we install top humidifiers in homes in the Cincinnati area. Whether you are installing a humidifier for the first time or replacing your old one, we are the installation and replacement experts! We offer two models of humidifiers that differ in price and efficiency—our good model and our best model from Aprilaire. Read about our humidifiers below and contact Rick’s Heating & Cooling for reliable installation! 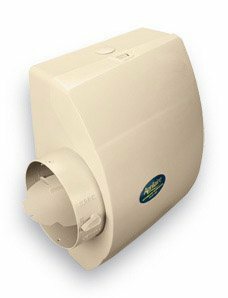 The Aprilaire Model 500 Whole-House Humidifier features a built-in bypass damper and is designed for use in small to mid-size homes in Ohio. It can be installed in either the main living area of the home or right in your HVAC ducts. The Aprilaire Model 600 Whole-House Humidifier features automatic control, plus a built-in bypass damper, which means fewer parts to install. The bypass damper is conveniently labeled for both summer and winter settings, allowing you to set it for the entire season with no guesswork involved. 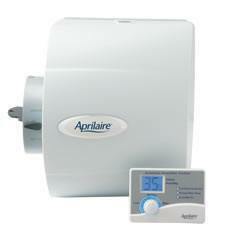 The Aprilaire Model 600 Whole-House Humidifier is simply the best performing bypass humidifier on the market. Whole-house humidifier installation– The experts at Rick’s Heating & Cooling can add a whole-house humidifier to your forced air heating system to improve the overall comfort of your home this winter. Whole-house humidifier repair– If you have a whole-house humidifier in your home that isn’t regulating the humidity levels properly, the HVAC technicians at Rick’s Heating & Cooling are here to help you! We can repair any problem, large or small! Whole-house humidifier replacement– Although your whole-house humidifier will generally be reliable, it has a limited lifespan and will eventually need to be replaced. When that time comes, contact Rick’s Heating & Cooling! We can replace your whole-house humidifier quickly and expertly so your home stays comfortable. Are you ready to experience home comfort like never before? At Rick’s Heating & Cooling, we provide homeowners throughout Maineville, Morrow, Lebanon, Mason, and Cincinnati, Ohio with whole-house humidifier installation, replacement, and repair. Call today for an estimate! Install a Humidifier in Your Morrow Area Home Today! At Rick’s Heating & Cooling, we treat our customers like family, which is why your satisfaction is our number one priority. Since 1986, we have been the HVAC experts your neighbors across Ohio. To learn more about our whole house humidifier products, schedule an in-home estimate online or call today—513-899-6005! One of our HVAC experts will meet with you to discuss the best whole house humidifier options for your home and budget.